Hi folks and Happy New Year! Today I’m sharing Over 30 DELICIOUS and HEALTHY Whole30 recipes with you! On January 1st I started my first Whole30. As a result, I’ve read the Whole30 book It Starts with Food and purchased the Day by Day book. In addition to reading the books, I’ve been searching the web for W30 compliant recipes. Then I asked some of my blogging friends if they would share some of their Whole30 recipes with me. They did so now I’m sharing this collection of Whole30 recipes with you. This recipe collection includes poultry, beef, seafood and side dish recipes. I separated each recipe type into sections, making it easier for you to find exactly what you’re looking for. Have you completed a Whole30 yet? Leave a message in the comments section and let me know your experience with it. Check out my Whole30 announcement post here. 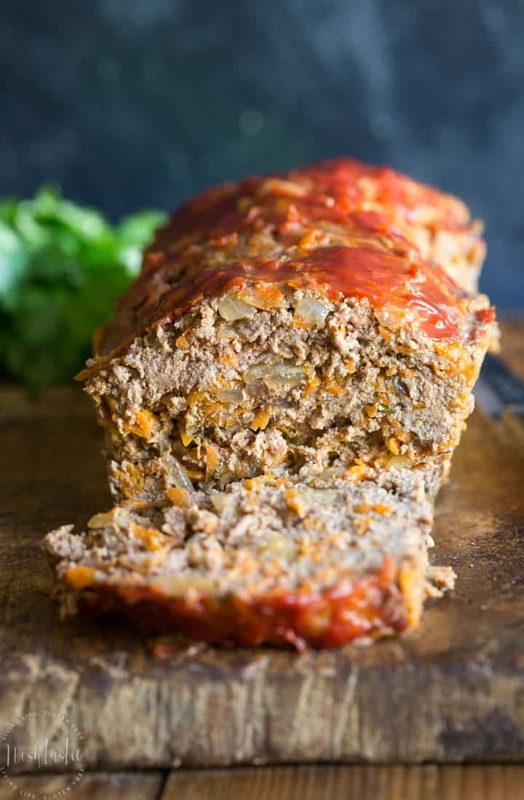 Weeknight Paleo Meatloaf by Noshtastic. This meatloaf looks INCREDIBLY delicious! 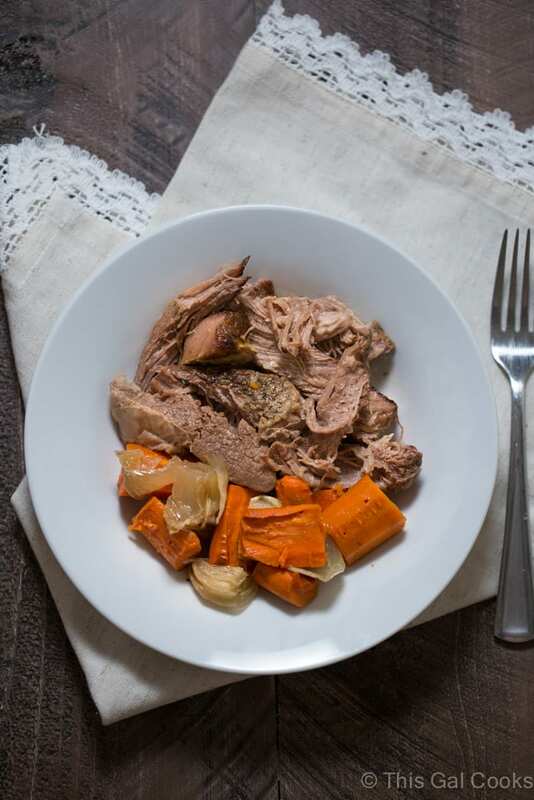 Paleo Pot Roast by Noshtastic. I’ll never turn down a good pot roast! 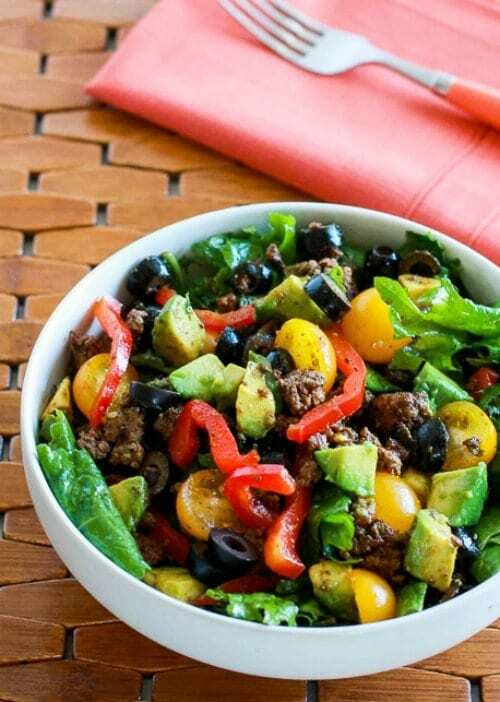 Baby Kale Paleo Taco Salad by Kalyn’s Kitchen. Taco salads are the BEST salads ever! Italian Beef Stew by Kalyn’s Kitchen. 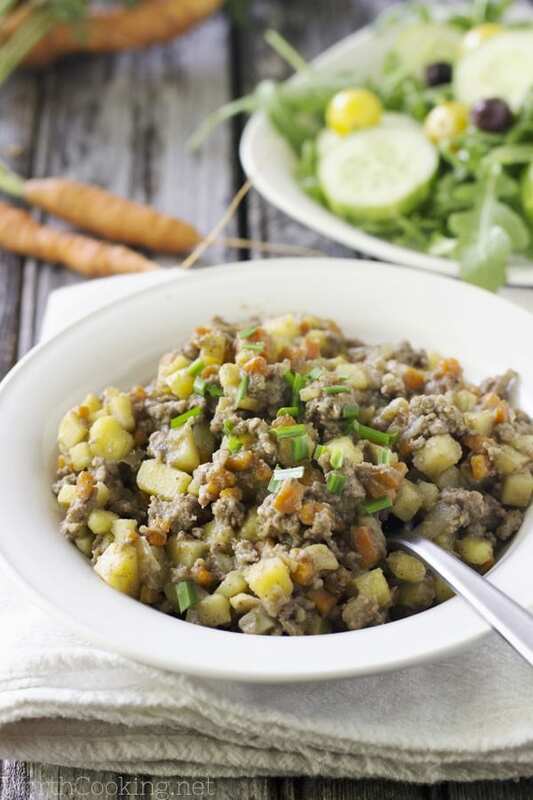 You’ll LOVE the flavors in this paleo beef stew! Slow Cooker Chuck Roast with Carrots by This Gal Cooks. 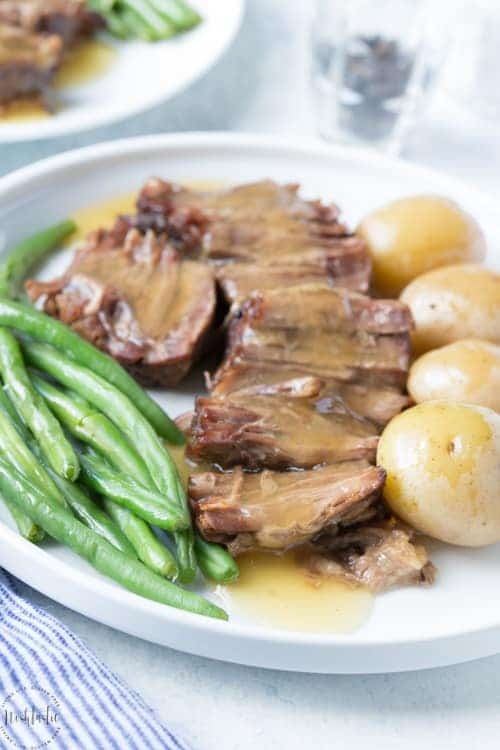 This is my go-to chuck roast recipe! 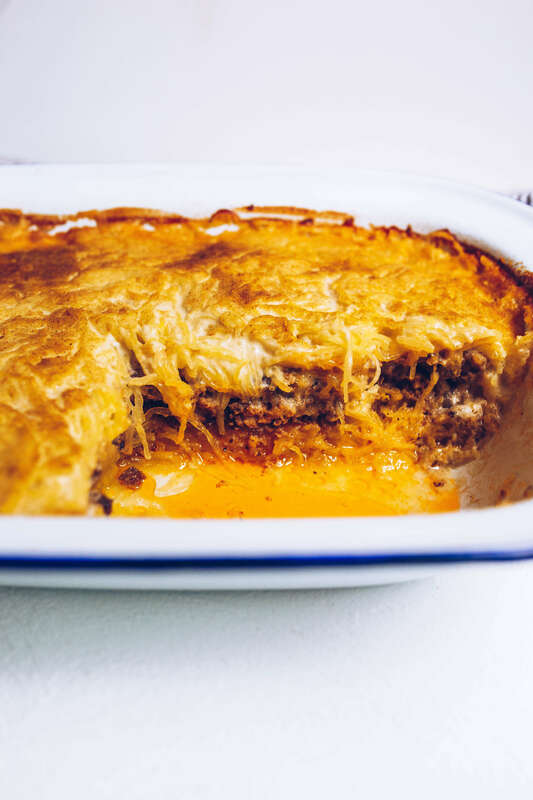 Paleo Spaghetti Squash Pastitsio by Food by Mars. Yes, it’s dairy free and it looks CRAZY GOOD! 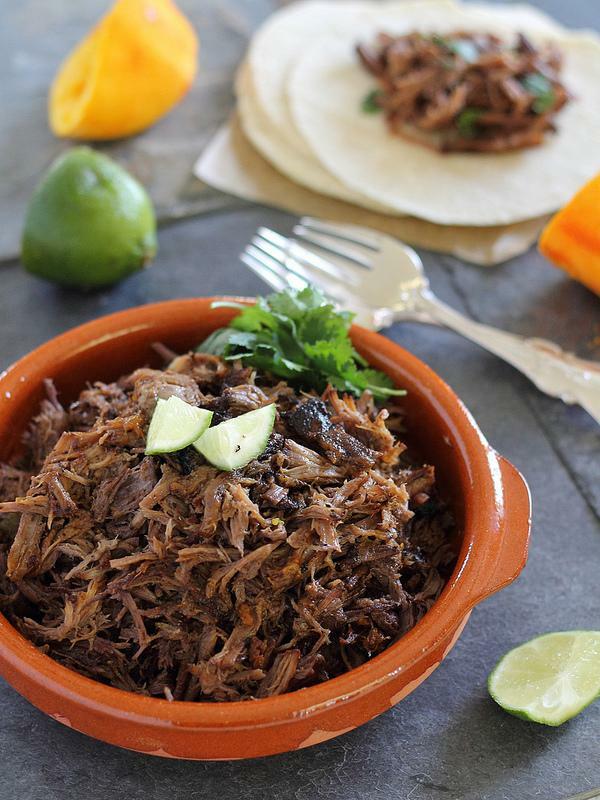 Spicy Orange Beef Carnitas by Running to the Kitchen. You know you want a GIANT bowl of these! Beef Vegetable Skillet by Worth Cooking. Comfort food, Whole30 style. Coconut Curry Chicken Thighs by This Gal Cooks. 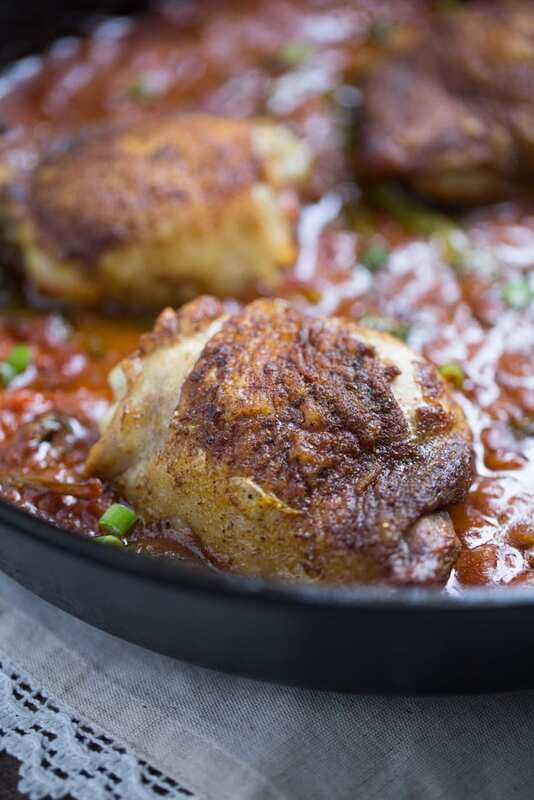 These thighs are bursting with flavor! 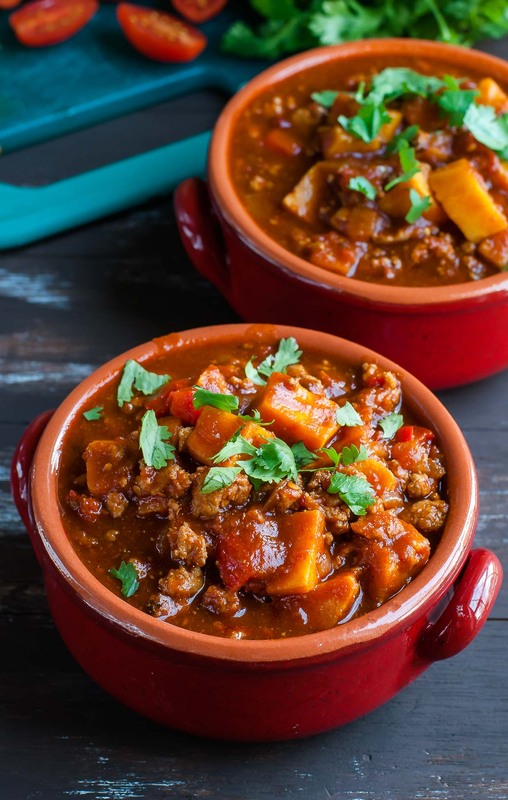 Smoky Chipotle Turkey and Sweet Potato Chili by Peas and Crayons. It’s cold outside and you need a good healthy Whole30 chili recipe! 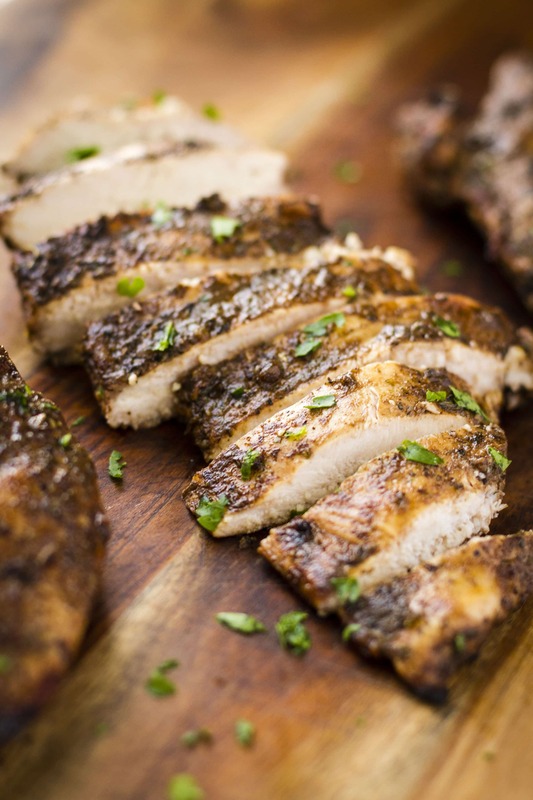 Balsamic Grilled Chicken by Unsophisticook. That’s some darn good juicy looking chicken! 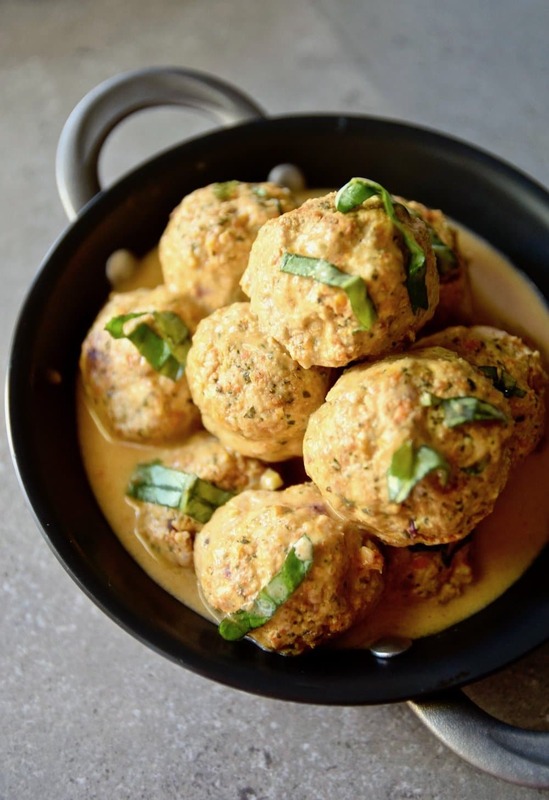 Paleo Thai Coconut Curry Chicken Meatballs by Tasting Page. THE meatball recipe you need for ALL of your parties. Coconut Chicken Veggie Stew by Worth Cooking. 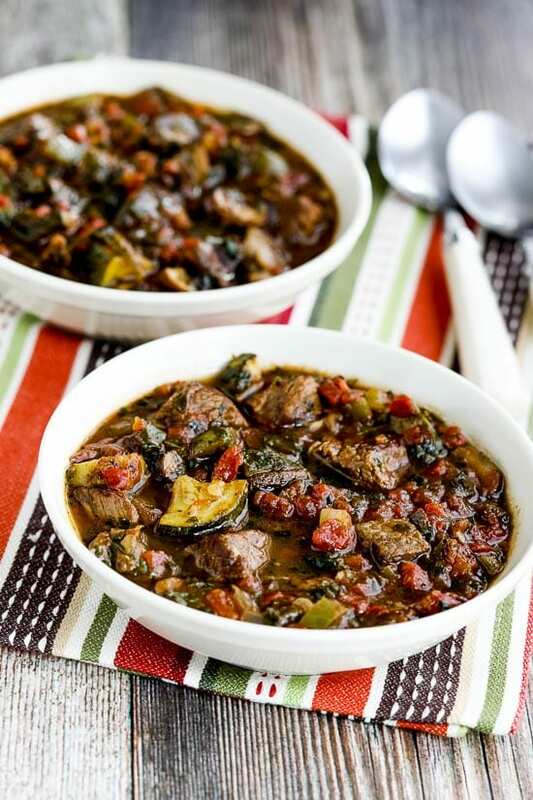 This stew is LOADED with veggies, meat and flavor! 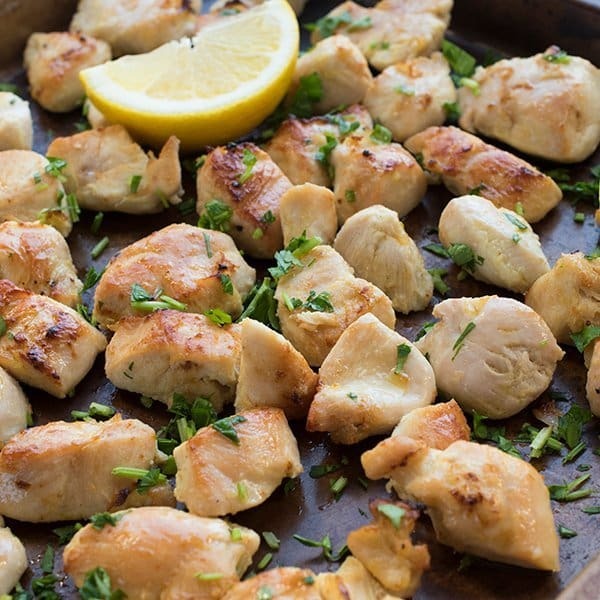 Sheet Pan Lebanese Shish Tawook Chicken by The Lemon Bowl. The perfect weeknight chicken recipe! 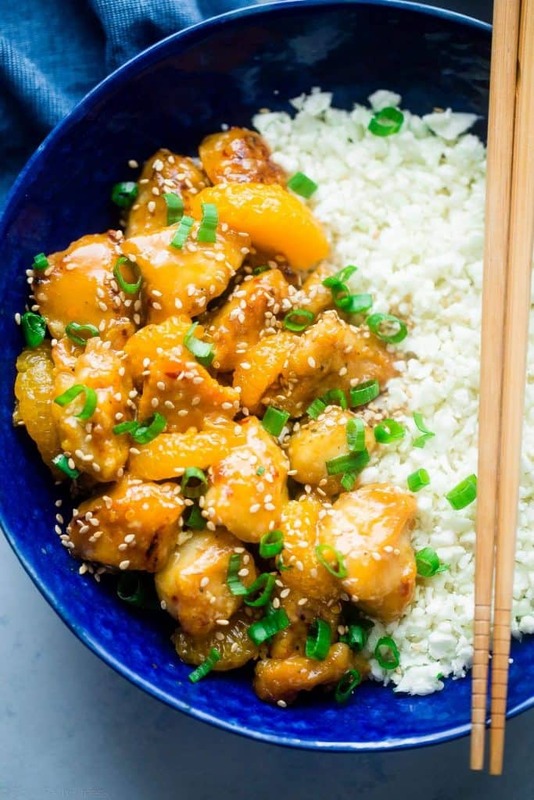 Paleo Orange Chicken by Food Faith Fitness. Yes, you can still enjoy takeout inspired food while doing Whole30! 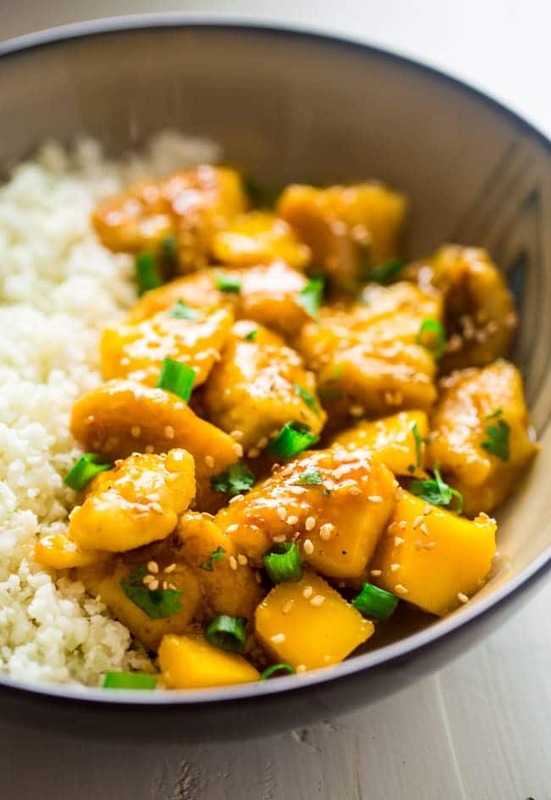 Mango Chicken with Coconut Cauliflower Rice by Food Faith Fitness. DROOLING! 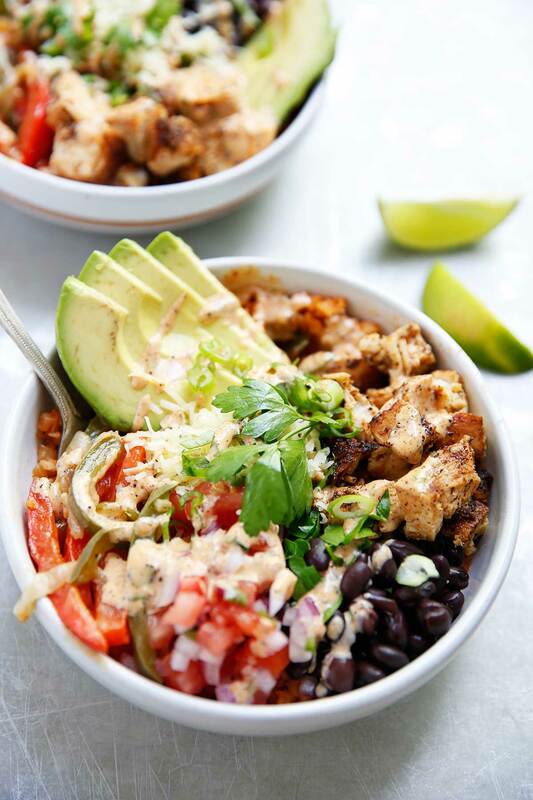 Copycat Chipotle Chicken Burrito Bowls by Lexi’s Clean Kitchen. Chipotle chicken isn’t Whole30 compliant but this DELICIOUS recipe is (just leave out the beans)! 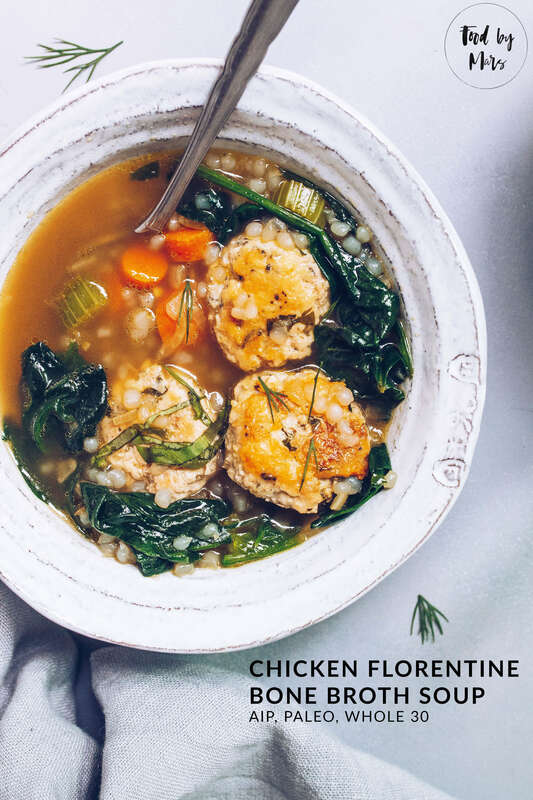 Chicken Florentine Bone Broth Soup by Food by Mars. Opt for cauliflower rice to keep this delicious soup Whole30 compliant. 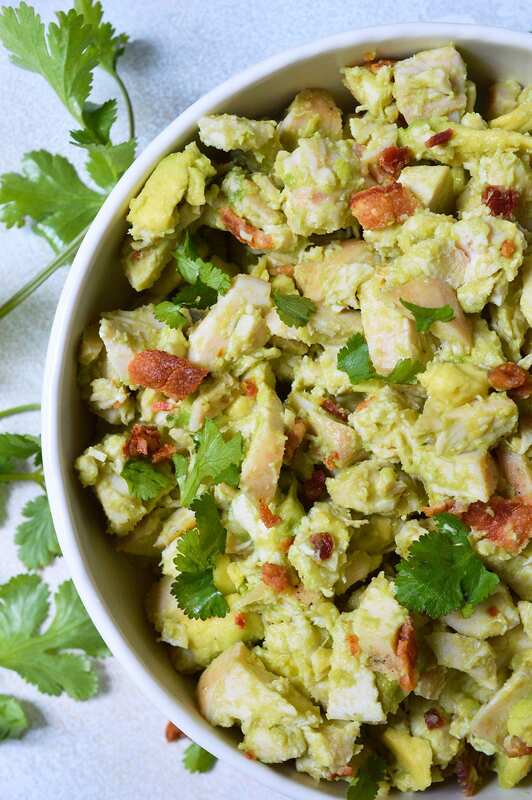 Bacon Avocado Chicken Salad by Wonky Wonderful. Because BACON and healthy fats! 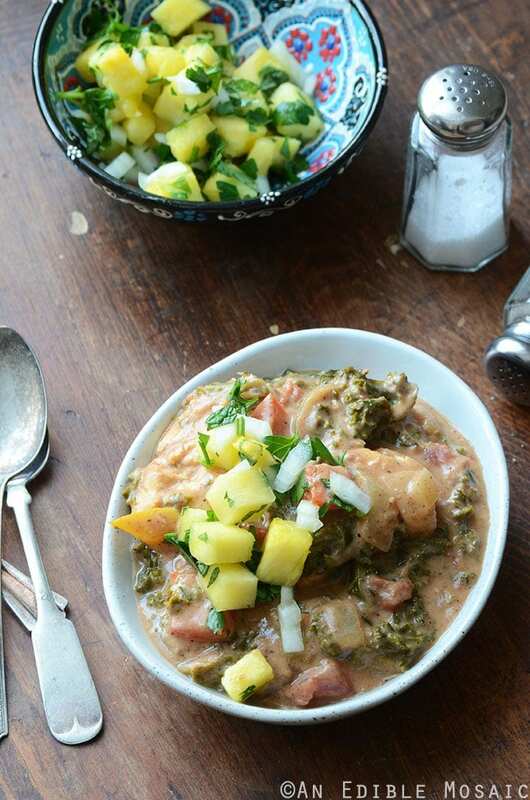 Almond Butter Chicken Stew with Pineapple Mint Relish by An Edible Mosaic. 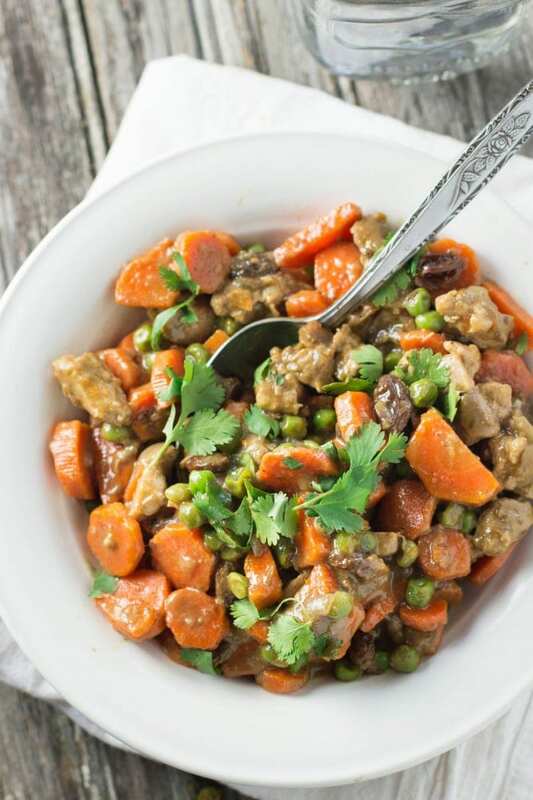 There’s a TON of great flavors going on in this stew! 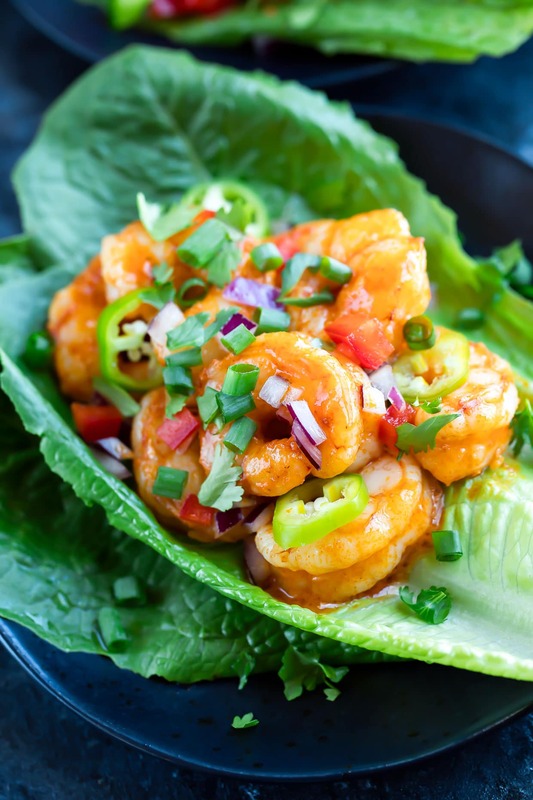 Buffalo Shrimp Lettuce Wrap Tacos by Peas and Crayons. Hip hip hooray we can have tacos while doing Whole30! 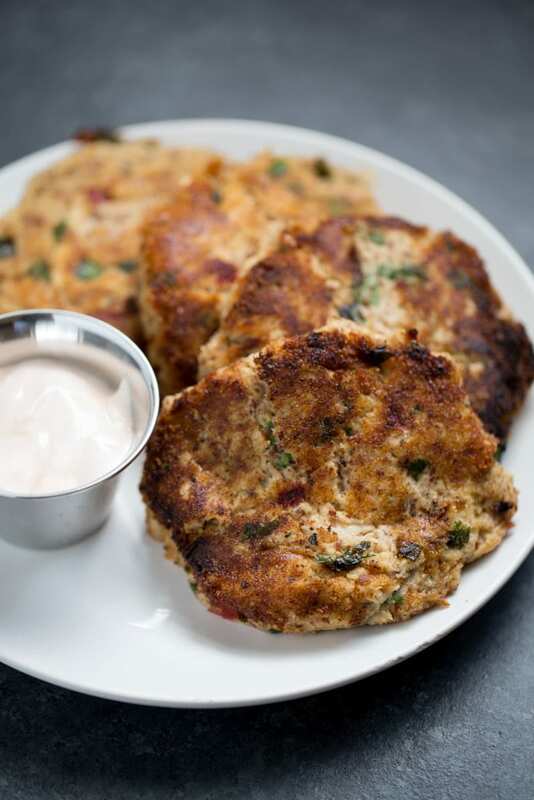 Easy Paleo Salmon Cakes by Cotter Crunch. These are perfect for a quick lunch or dinner! 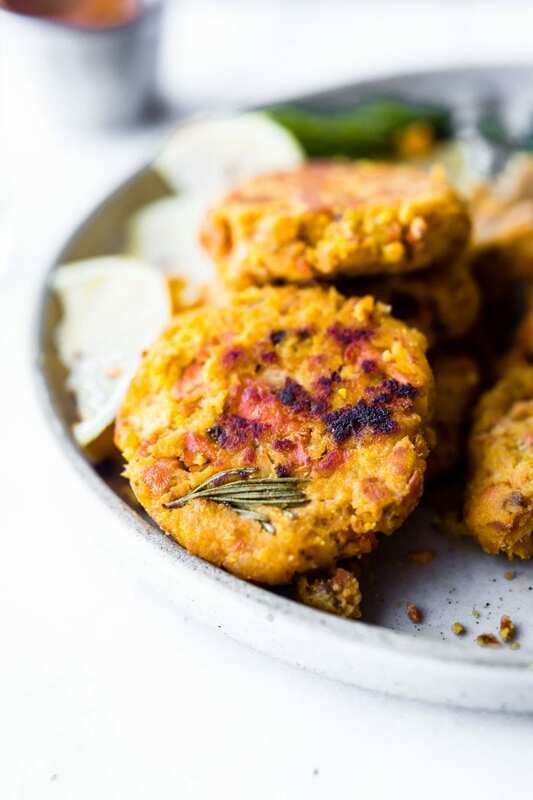 Easy Tuna Cakes by This Gal Cooks. Another super simple lunch or dinner recipe! 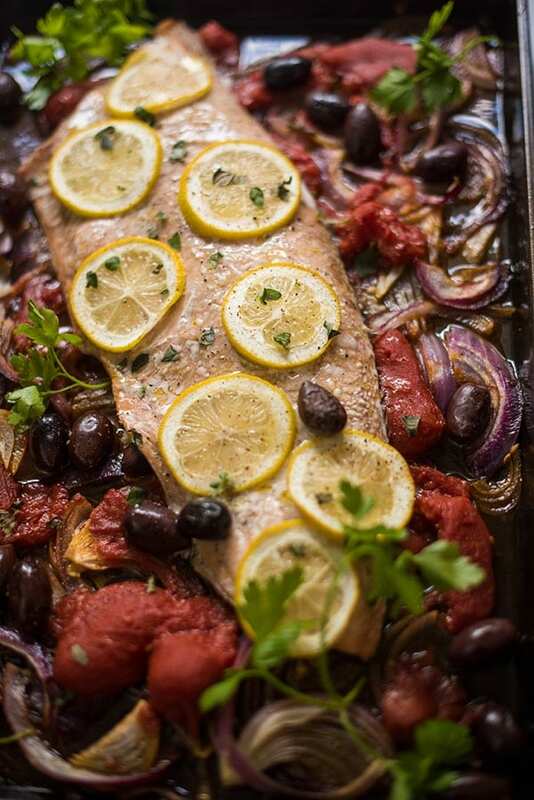 Sheet Pan Salmon with Tomatoes and Olives by The Lemon Bowl. Sheet pan recipe = easy clean up! 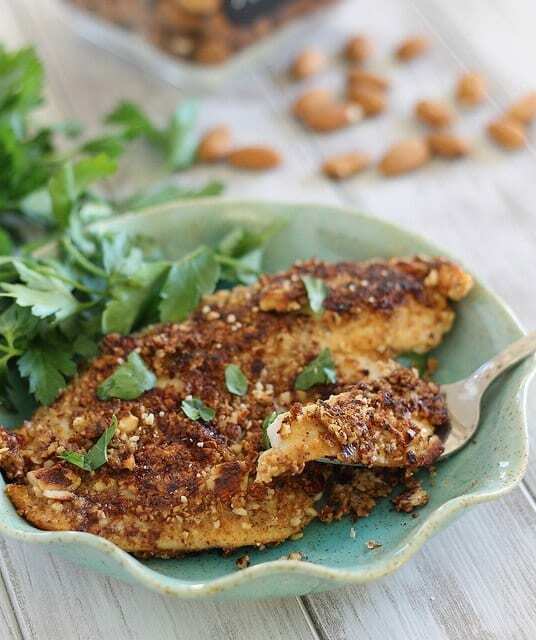 Dijon Almond Crusted Tilapia by Running to the Kitchen. All the crunch of fried fish without the flour and unhealthy oils! 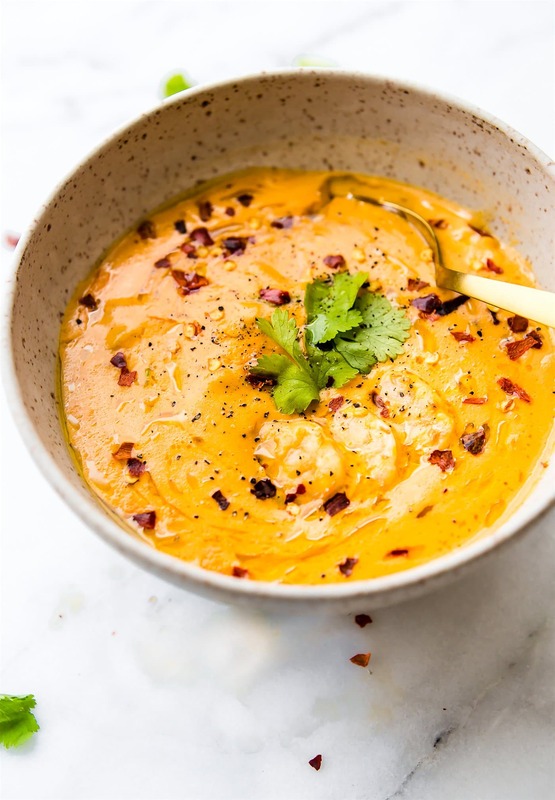 Dairy Free Roasted Red Pepper Bisque with Shrimp by Cotter Crunch. Yes, you can enjoy creamy delicious soup while doing Whole30! 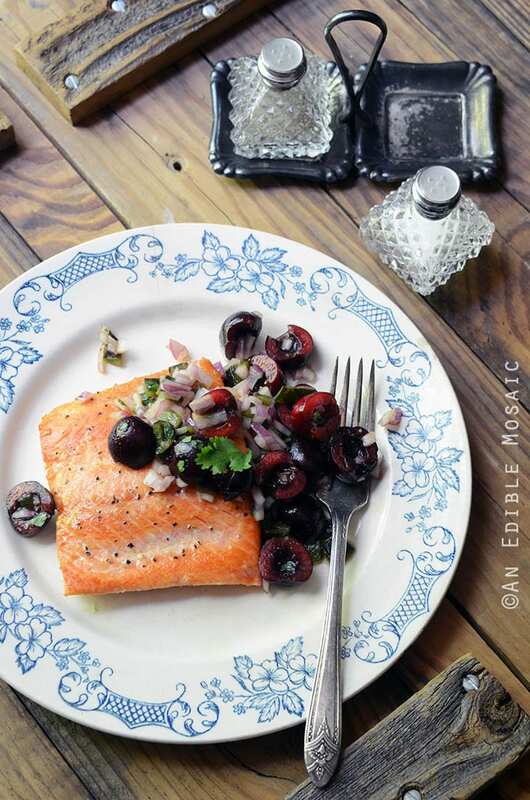 Seared Salmon with Fresh Cherry and Poblano Chopped Salad by An Edible Mosaic. Incredible flavors going on in this dish! 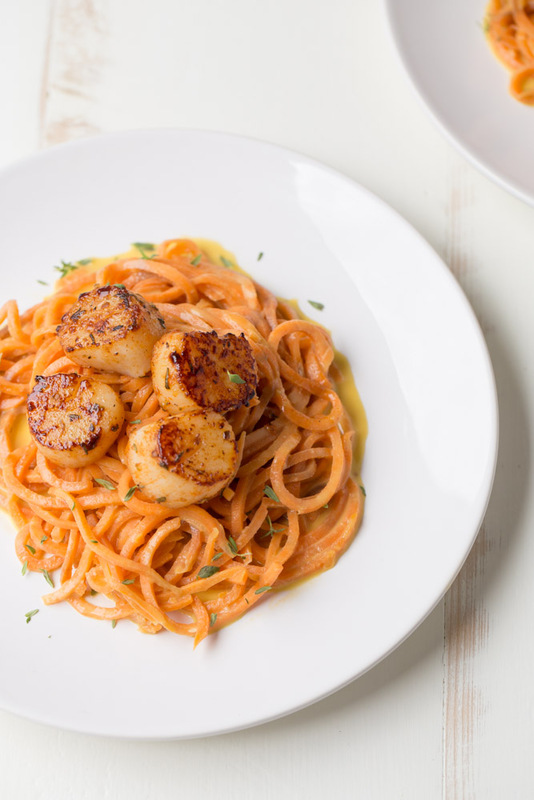 Blackened Scallops with Sweet Potato Noodles by This Gal Cooks. The flavors in this Whole30 compliant “pasta” recipe are incredible! 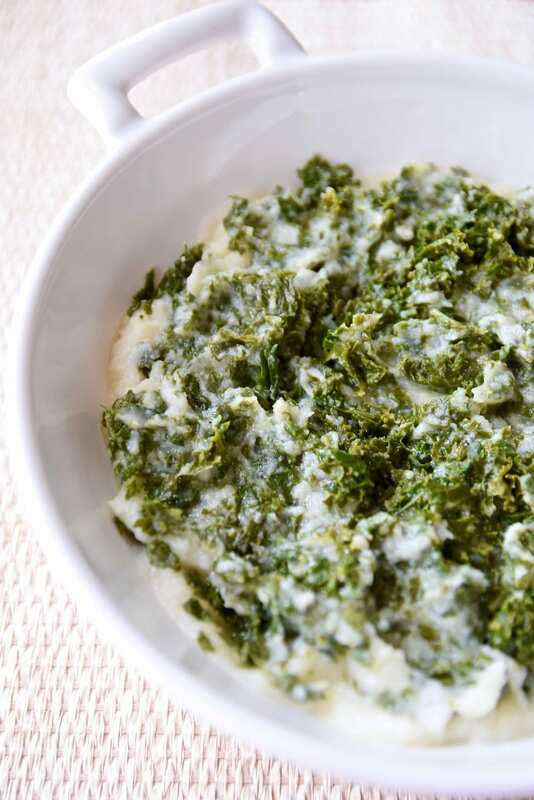 Paleo Mashed Cauliflower Kale by Tasting Page. This is a great way to get a ton of veggies onto your plate! 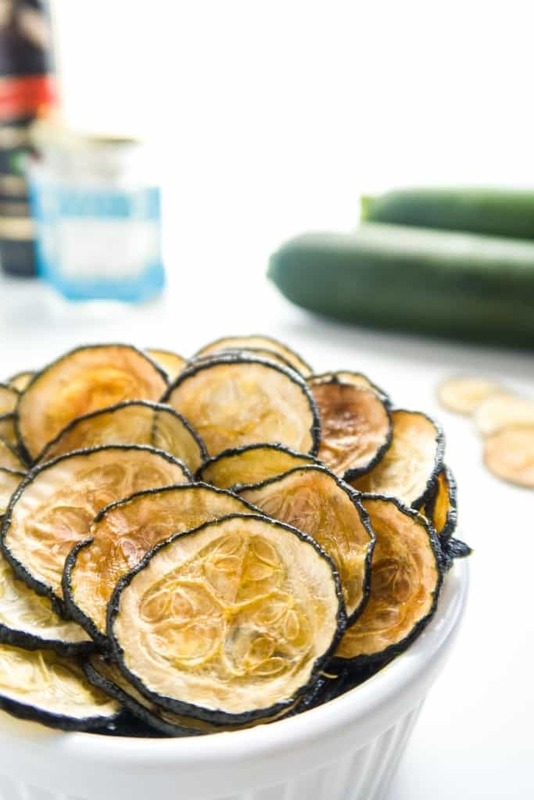 Oven Baked Zucchini Chips by Wholesome Yum. These are way better for you than potato chips. 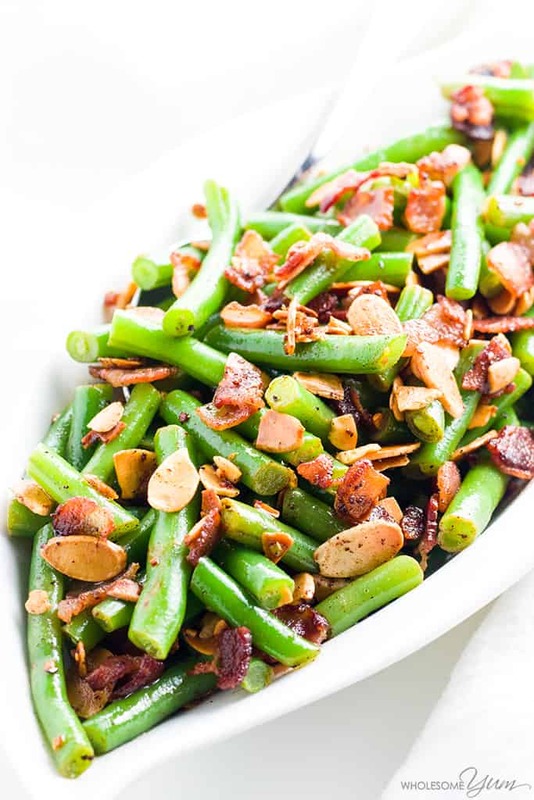 Pan Fried Green Beans Almondine by Wholesome Yum. Use clarified butter or ghee in place of the butter to make it Whole30 compliant! 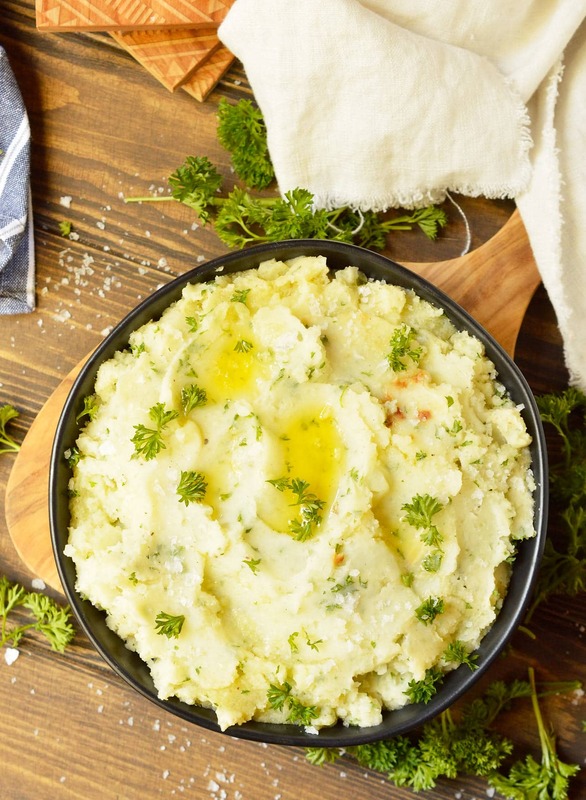 Whole30 Garlic Mashed Potatoes by Wonky Wonderful. Don’t ya want to dive into a bowl of these mashed potatoes? Next Post » Whole 30 Update-I Made it Halfway! So many good ideas here. Thanks for including some of my recipes! OMG THESE ARE AMAZING! Pinned all over!